Today I have been married to The Atlas for 15 years. I take this time to congratulate myself on the excellent choice I made at such a young age. He's a keeper, I like him rather a lot. I am currently working with a team of creative and marvellous people to realise a wonderful, non-typical Christmas Carols event. 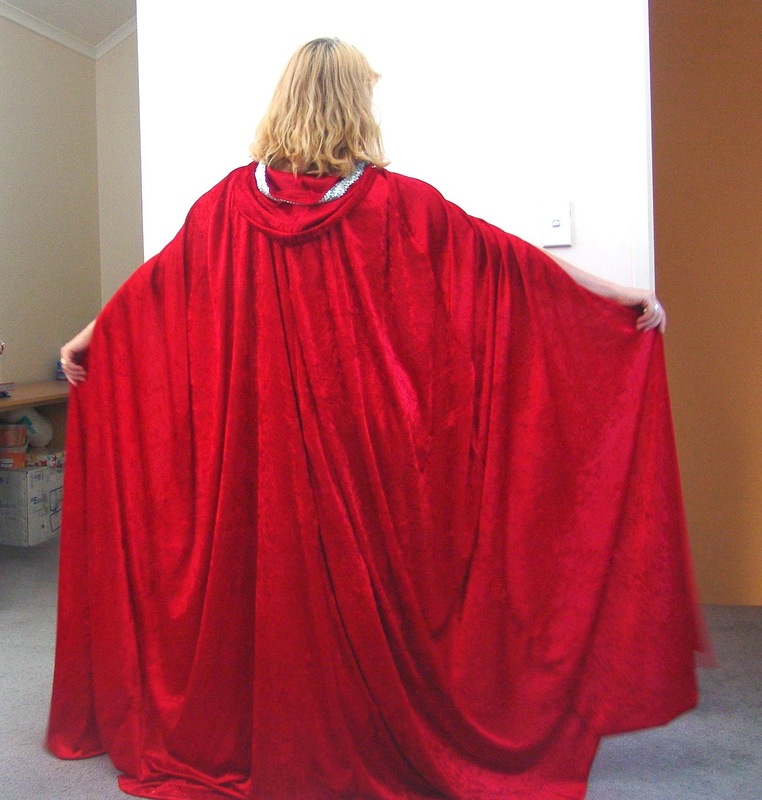 As I am narrating the journey I needed something to wear - this is what was requested: A full length velvet cape. 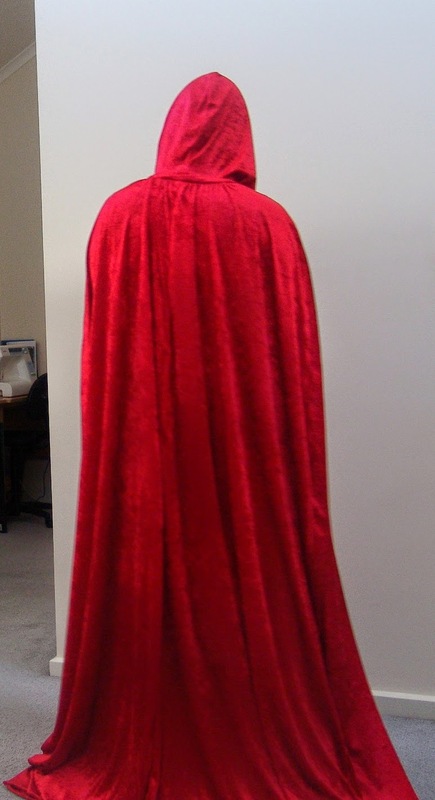 It's unhemmed but as I don't plan on wearing it daily I think I'll get away with it. 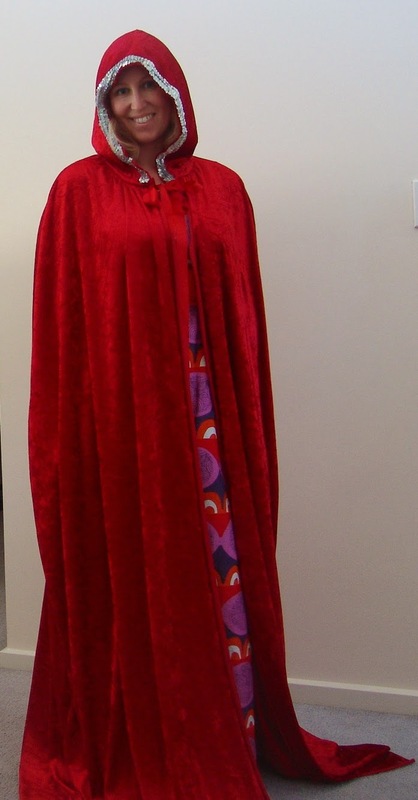 I used a very ugly Simplicity costume pattern but made it full length and took a lot of the width out of it. I have asked for a sworn promise that the air conditioning in the building will be set to freezing - just so as I can survive the evening. At the moment I am so enjoying reading novels. Here and there over a couple of evenings I can get through one and lately I am meeting lots of new authors which I really like too. 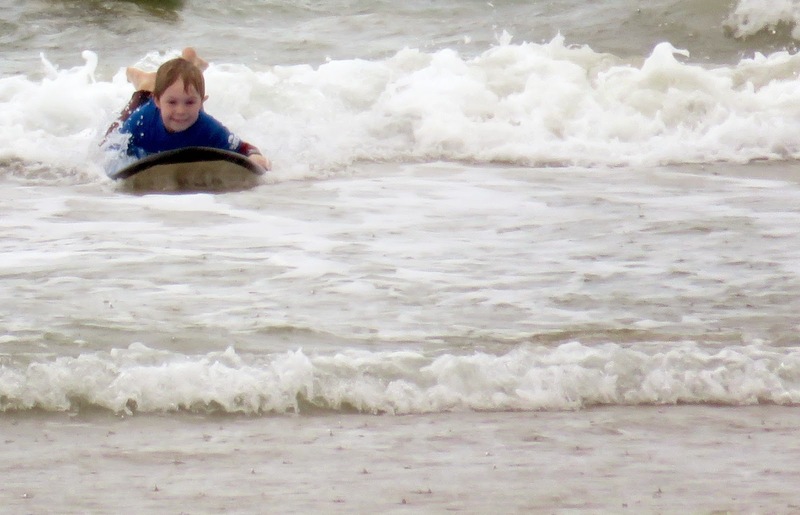 It's nice to escape into someone else's world and it feels much nicer than wading through rubbish on TV. Of course the problem is you finish one and you immediately want to start another. As you may know (!) I am not a rural girl, now and again I think about the country existence and being self sustainable - then I remember that I am an extrovert who needs a lot of people in my life, I don't much go for a lot of time out-of-doors and I get a bit icky about a lot of animal things. Having said that I am enjoying reading novels set in rural Australia. Nothing like a few of the cold hard facts thrown in to make you really appreciate how tough farmers do it. Gemma's Bluff by Karly Lane is clearly written by a woman who loves the rural landscapes of Australia and also gives some good messages about the unrelenting-ness of farming. Mainly though it's a good romantic chic-lit about a city girl who finds that she is caught up into farming life. I like that Lane doesn't cater to the perfect stereotypical synopsis. The characters are flawed (and sometimes annoying!) and they don't get their own way all of the time. There are speed bumps and swamps and sometimes it seems like things really aren't going to go well in the end. I also appreciate that characters aren't one dimensional - the bad guy has redeeming qualities and the good guy needs to pull his head in now and again. 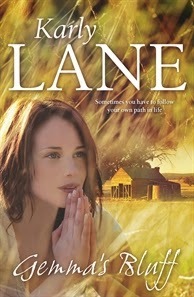 Lane has written quite a few other rural novels and is also a mum to four children - she's got some skills right there!! An enjoyable read with some nice romance, perfect for a hot summer's reading. Details - Allen and Unwin November 2014, RRP $29.99 also available as an ebook. What novel are you reading at the moment? 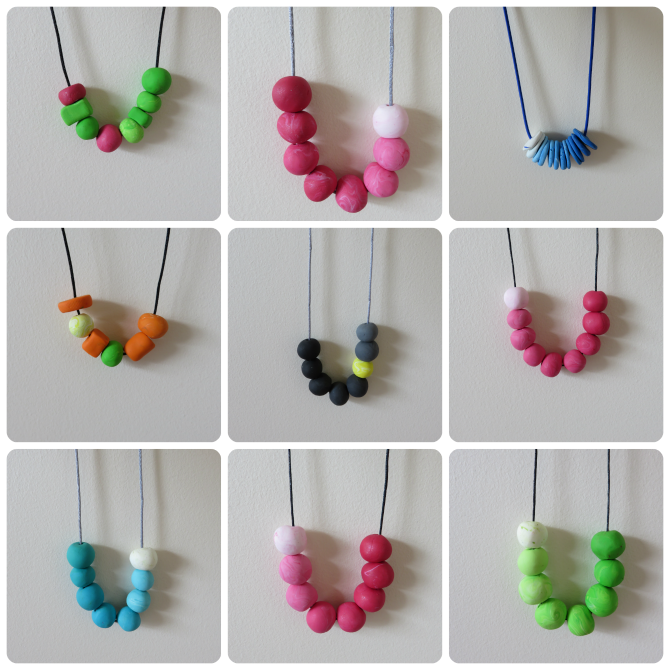 The CWA market stall is coming up and so I volunteered to make some polymer clay necklaces. So easy, and yet, such sore thumbs at the end of it. I like had some fun. 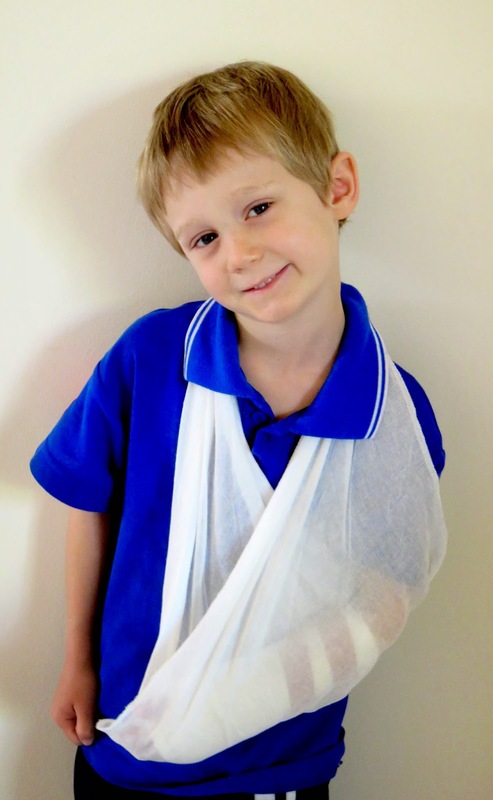 Leaping for the monkey bars and missing - just a little bit broken but oh so brave. Grateful for a beautiful friend who dropped Bounce and I to the hospital and took Flip back to her place for the afternoon, fed him dinner and dropped him home. So as you can imagine we are always open to new books and I still find picture books scratch an itch for me that others don't. I'm sure I'll do some more recommendations coming up to Christmas but here are some, mostly new, books that are getting a workout on our book pile at the moment. If you have little book lovers in your family I though you might enjoy some recommendations for new treasures. 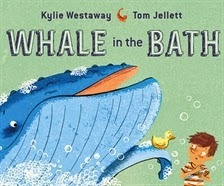 Whale in the Bath by Kylie Westaway - this is one of those cute stories where a little person is telling the truth but everyone assumes it's their great imagination. There is something about the illustrations that is almost comic book in style. Perfect read for any little one who likes to have the last laugh and would be captured by the idea of finding a whale (who'd prefer krill scented bubble bath) in their bathroom. 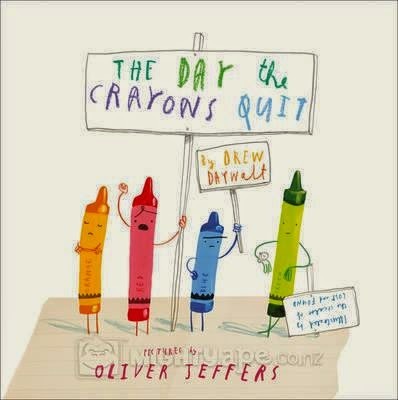 The Day the Crayons Quit by Drew Daywalt - this was Bounce's choice from the Scholastic catalogue. Paired with Oliver Jeffers illustration, Duncan receives a series of letters from each of the crayons in his crayon box. 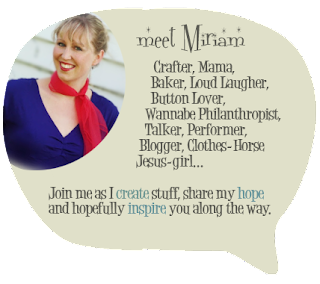 Some are supremely frustrated by their overuse or the way they have been overlooked. There are arguments between yellow and orange who both believe that they are the 'true' colour of the sun and a few happy crayons too. This book is cute and funny and perfect for any little reader who also loves to draw and who likes 'attitude' given to inanimate objects. 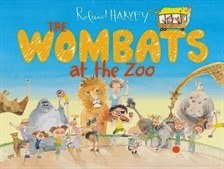 The Wombats At the Zoo by Roland Harvey. This is the kind of book I would use with upper primary children. There are all sorts of cute hidden details in the illustrations and the narrative is driven by different characters as they report on their favourite animals. This is one I would choose for the child who likes to linger over pages, find out strange facts about animals and engage with characters. Would be a fun start for a writing unit following a class trip. 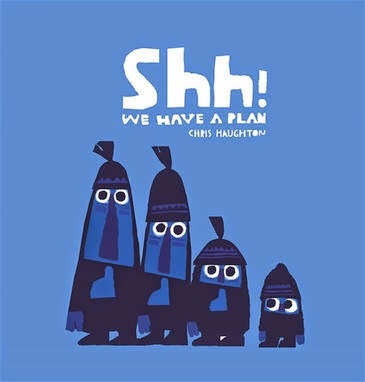 SHH... We Have a Plan by Chris Haughton - we came across this one at the art gallery shop story time session. In NZ we have his other book Lost and Found. Bounce loved this (and so did I) and so I went back and bought it for his birthday. The language is very simple and sparse but the gorgeous collage illustrations hold the narrative perfectly. Four little hunters have a plan, except that number four's plan is quite different from the first three. Filled with the best kind of suspense and punch and judy - we can see what's going to happen - humour it is readable for an early reader but delightful to read aloud together. Suitable for anyone who loves a good kindness will triumph tale. Library Lion by Michelle Knudsen - this is a classic that I have read the boys in the past and that I bought to give away recently. Bounce spotted it on the gift pile and started telling me how much he loved that book so when a friend asked for a birthday recommendation for him I suggested this one. A lion visits the library and people aren't sure what to do with that - there are no rules about lions in the library. 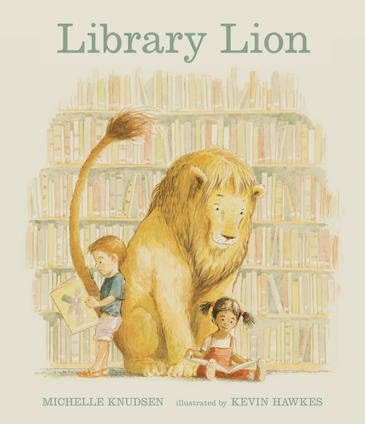 The lion loves the library - he becomes a special part of the furniture until one day he is faced with a terrible dilemma - break the rules to help a friend if it means you can't come to the library anymore? This story is text heavy but the characters are sublime. It ultimately tells the tale of friendship, sacrifice and redemption. Beautiful and one to enjoy for many years. 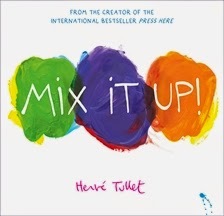 Mix It Up by Herve Tullet - if you have read his best seller Press Here you won't need any convincing to have this one on your wish list. What I love about Tullet is his supreme creativity when approaching illustration and interaction with the reader. This book teaches about the way colours are used to make other colours but it is unlike any other instructional colour book you'll have experienced before. 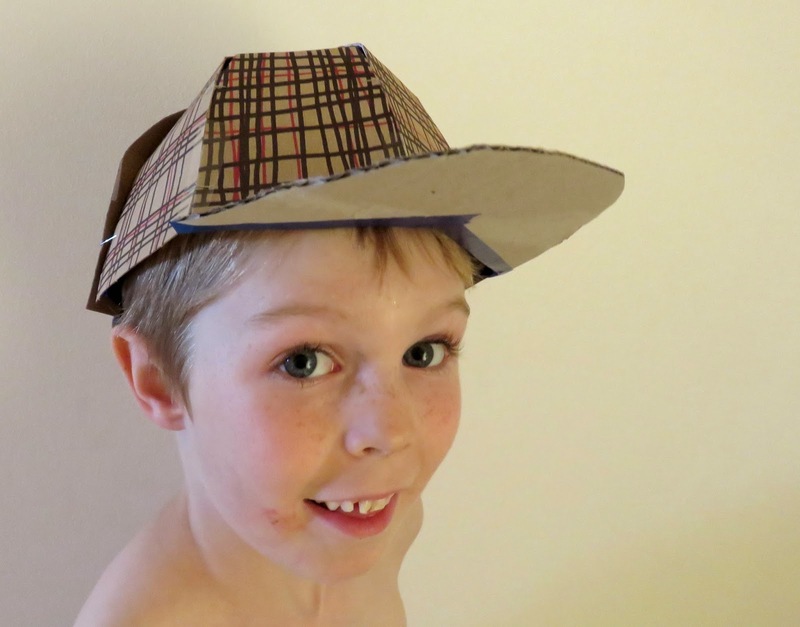 It's just so clever and innovative and perfect for little people who hold the sense of magic and awe and are prepared to interact with a text, even as an adult on my own I still follow the instructions! Colours that do what you tell them to? Yes indeed. 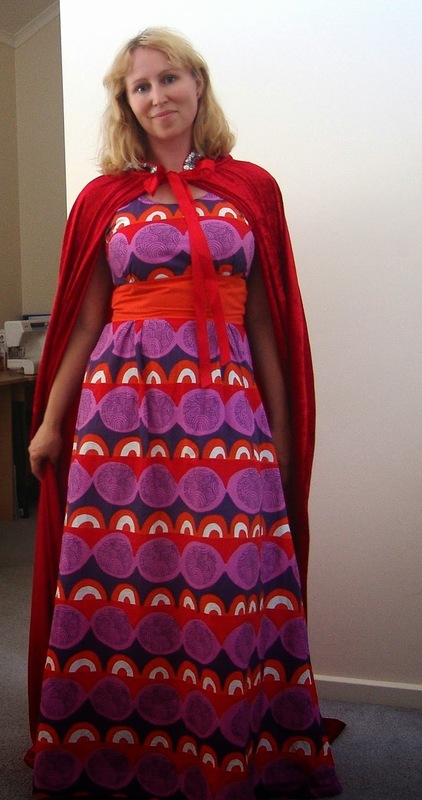 Magical, colourful, a whole new way to experience a text. 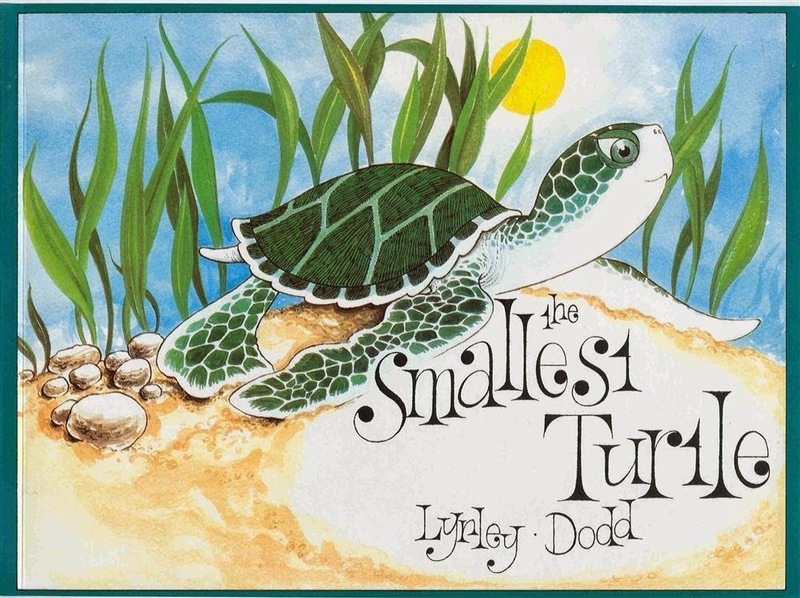 The Smallest Turtle by Lynley Dodd - I found this at the oxfam bookshop and snapped it up remembering how much someone loved it when we got it out of the library some time ago. 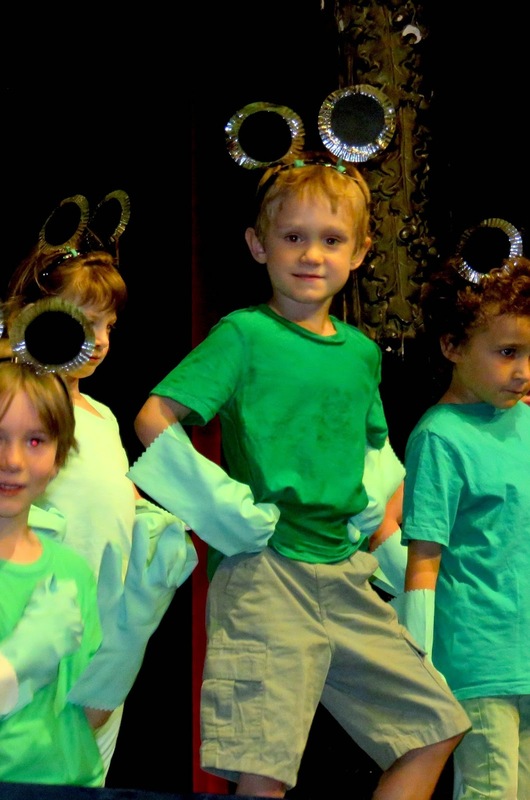 How can you not love a story about a little turtle struggling to make it to the sea - so cute! Someone little was very excited to see this one come home. 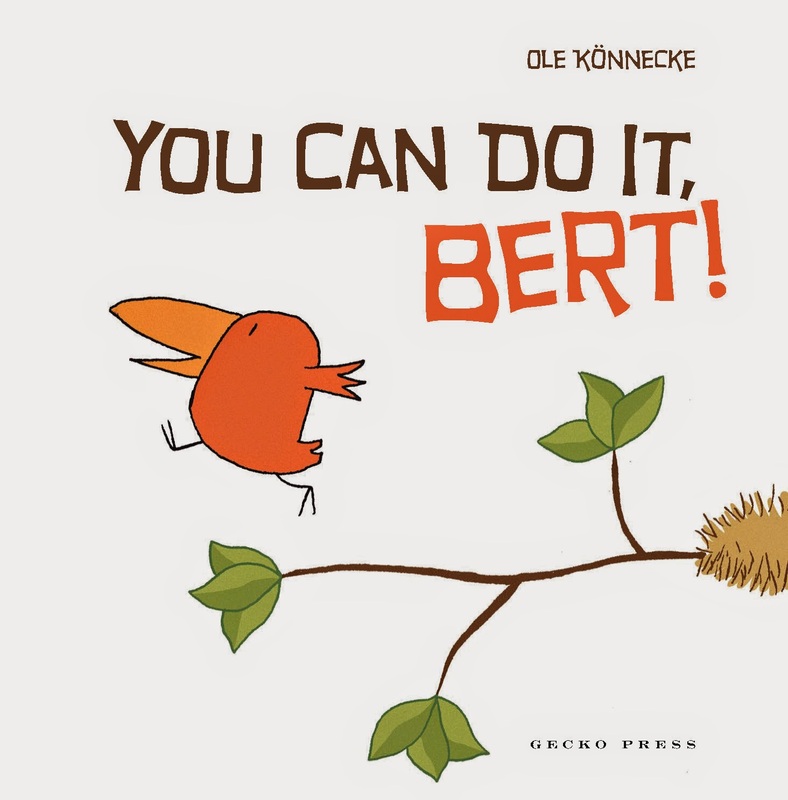 You Can Do It Bert by Ole Konnekke - we absolutely love Anton and the Battle and I actually use it quite a lot with teachers and students when I am teaching drama and dance, so I was thrilled to receive this one from Gecko. What I adore about this book is that it achieves what a good adult novel does - it leads you to think that you know where the story is going - and then you are wrong! Love it. I like the illustrative style they are simple but full of personality - again the illustrations are doing a lot of the narrative work. This is a joyful piece of writing. 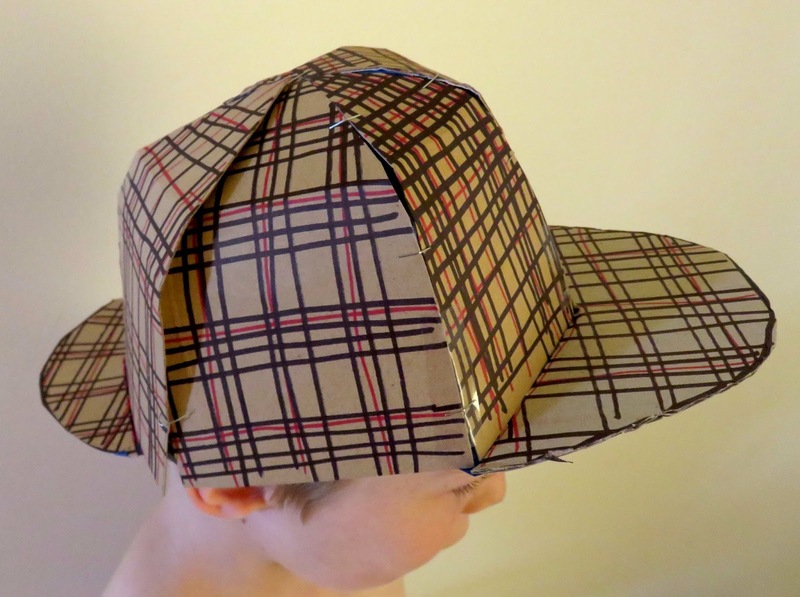 Great for any little people probably 2-7 ish. 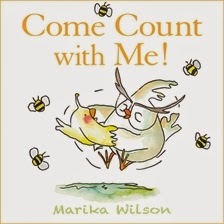 Come Count With Me by Marika Wilson - this is another in the emerging indigenous writer series of books. It's a gorgeous conversation between little chick who can count to five and granny chick who is struggling. Some cute rhymes and a lovely relationship. Perfect for anyone learning to count to 5. 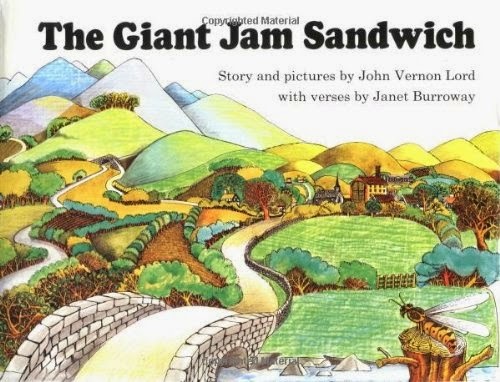 The Giant Jam Sandwich by - another one we had to leave in NZ but I found a gorgeous original copy in the Oxfam bookshop the other day for 50c! This is a classic book that I remember as a child. The rhyme scheme is perfect and the illustrations are highly 60s/70s stylised which really appeals to me. One hot summer in Itching Down four million wasps flew into town.... We gave this to a gift to one of our favourite little people at 2 and by 3 she could tell the story verbatim but we still love it at primary school and adulthood. Maybe it's the giant loaf of bread or the crazy flying tractor? 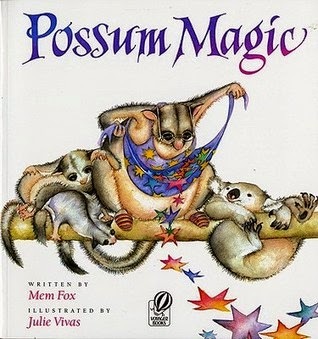 Possum Magic by Mem Fox - we haven't strictly got this one yet it's going under the tree - shhhh! Mem Fox wrote Where Is the Green Sheep which is one of my absolute favourite books for early reading (from about 18months) and Bounce has had and loved this one at school. Obviously with a possum in the lead role it's an Australian rather than Kiwi approach (we kill ours, they protect theirs!). Phew!! Hopefully you've got some inspiration in there for your Christmas List. What's on your Christmas reading list? What is your go-to book for children? 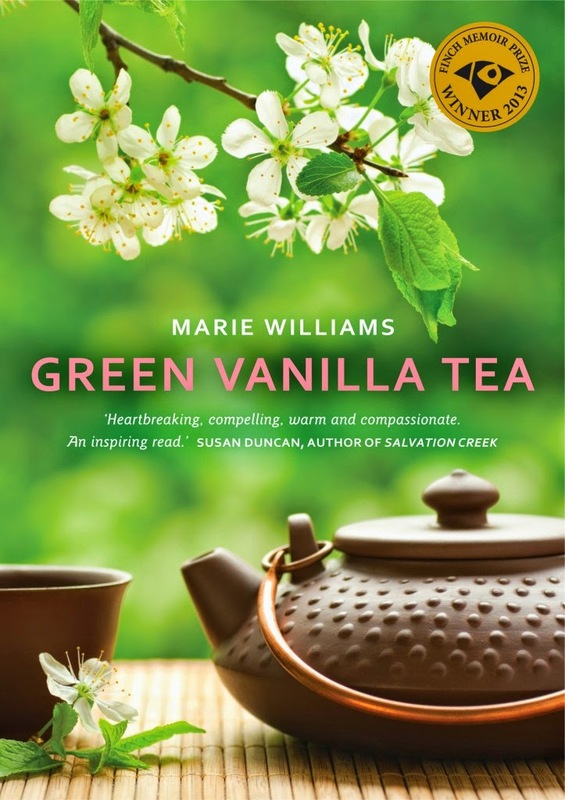 I grabbed Green Vanilla Tea by Marie Williams in a wild library frenzy recently. I started reading it without realising it was a memoir rather than fiction but it had me right from the get go. Williams watches as her husband of many years begins to act in strange ways.... a once caring, laid back, family focussed man is no longer any of these things. 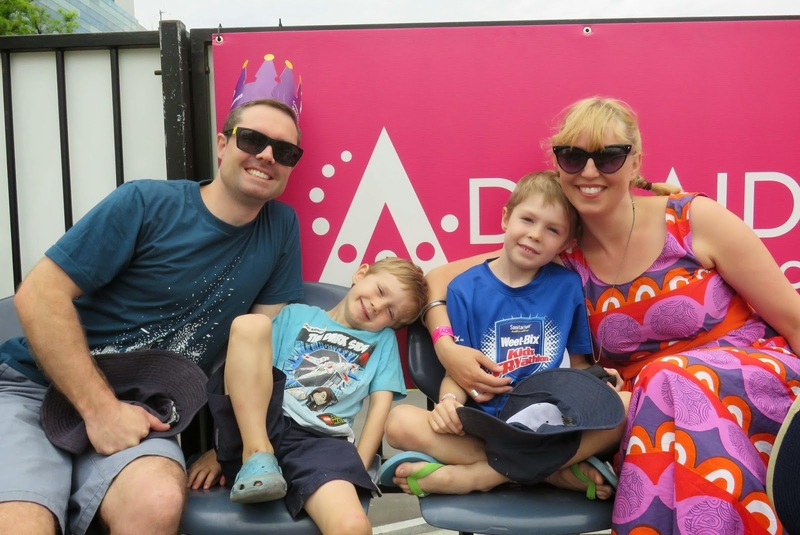 ... and so begins a challenging and heartbreaking journey of slowly losing someone who doesn't realise they are being lost, to an illness that no-one seems able to diagnose all while Dominic, her beloved husband, believes there is nothing wrong with him. This book is so beautiful and moving - it is a love story of epic proportions. It is about the kind of love that maybe only a family can share, love that is developed over years of memories and re-membering, love that is pushed to breaking limits. I cried and cried during this book. 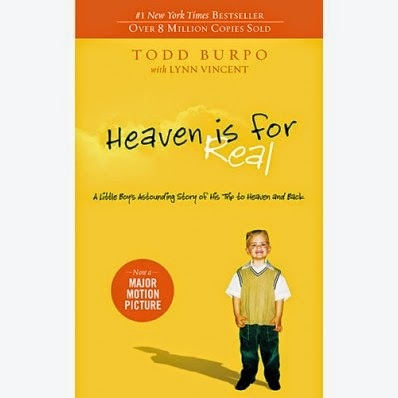 This book makes me want to be a better parent and a better partner and to love wholeheartedly and without selfishness. It is tender and wild and strong. For anyone who has had to watch someone they love slip away even though they are alive I am sure this book will be a balm and an understanding. Details - Finch 2013, RRP $24.99 also available as an ebook. More birthday parties and someone who really wanted to get the kind of present he'd been giving to others! 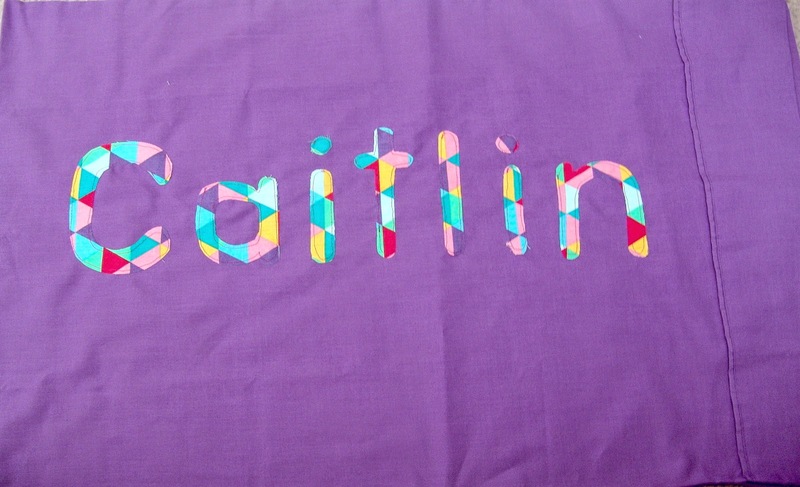 and inspired by the talented Fay I asked if she had a pattern for her 'creeper' block from her mini-quilt. 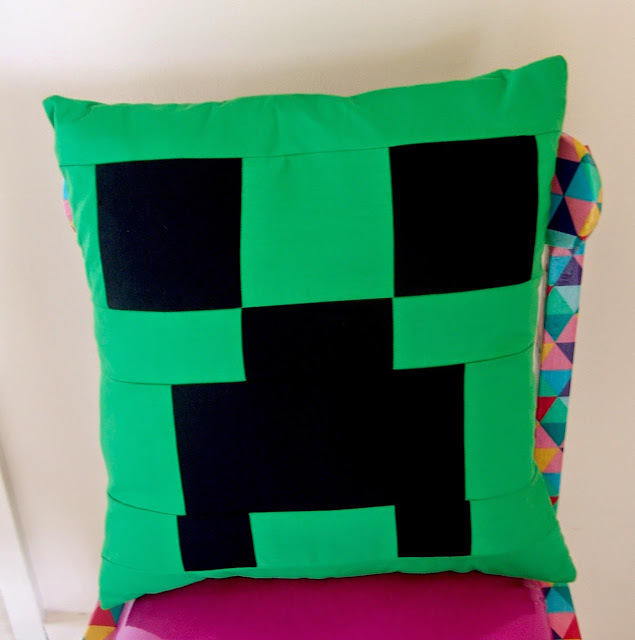 She generously sent me a pattern and instructions to follow and I made this creeper (from mine craft) cushion for one of Flip's friends. 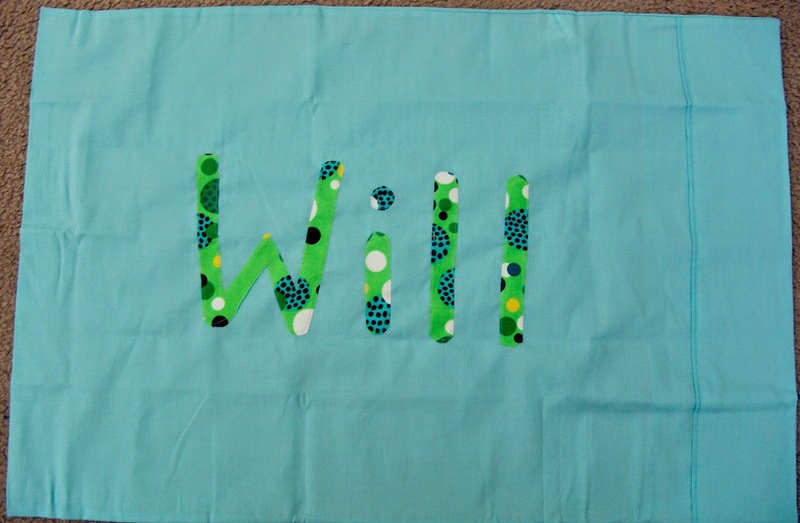 He was especially impressed with the 'pocket on the back', bless - who knew an envelope back could be so clever! 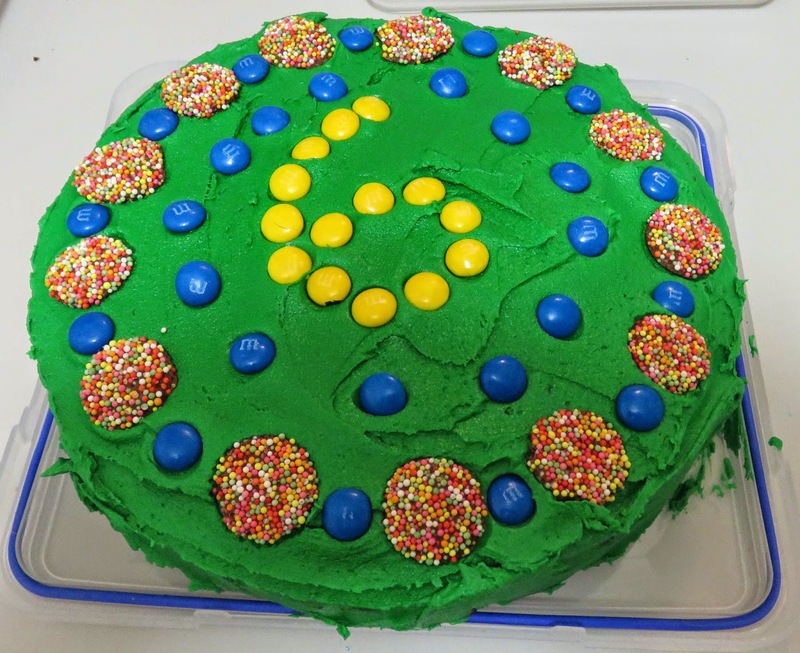 And a very simple 'spotty' cake - don't you love those simple requests? 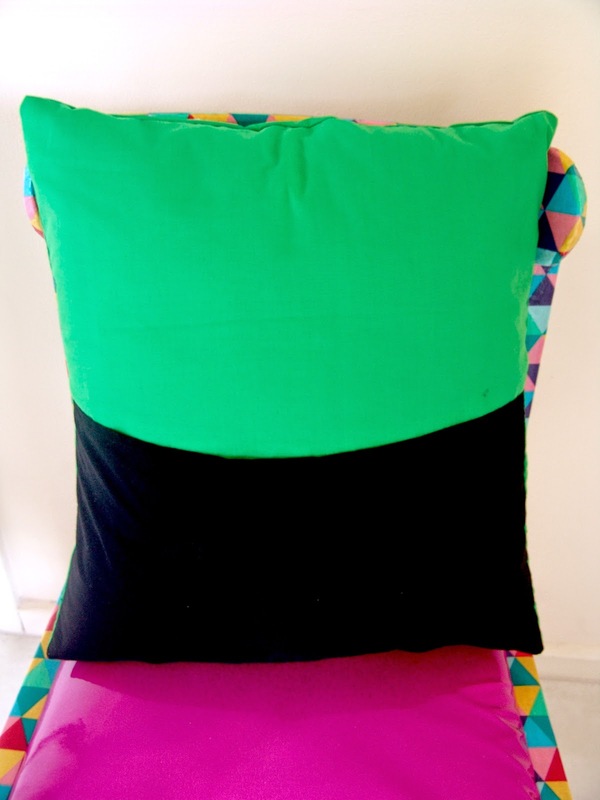 I need to start thinking about some making for Christmas too.... shesh! Largest santa parade/ pageant in the world and The Atlas managed to get drawn from the ballot for special seating and an after party! Whoop. 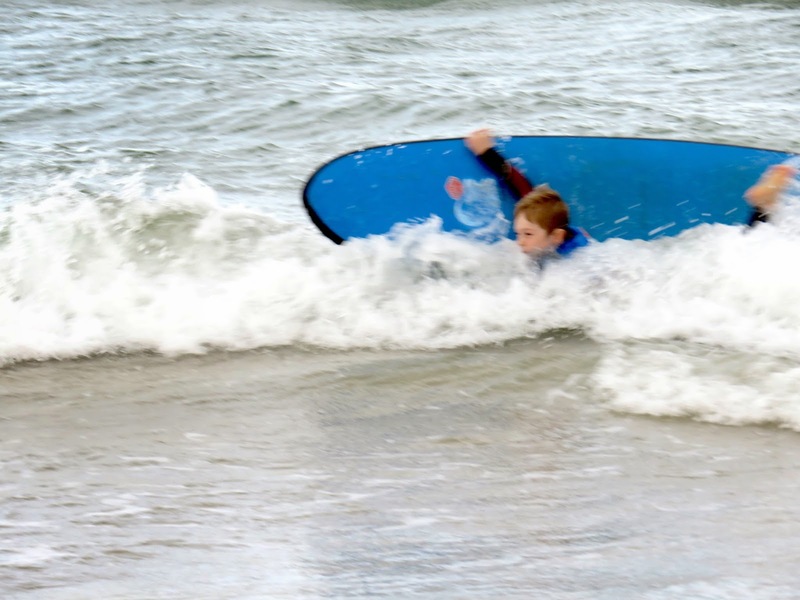 The boys loved it. Bounce was most impressed by the real live camels. 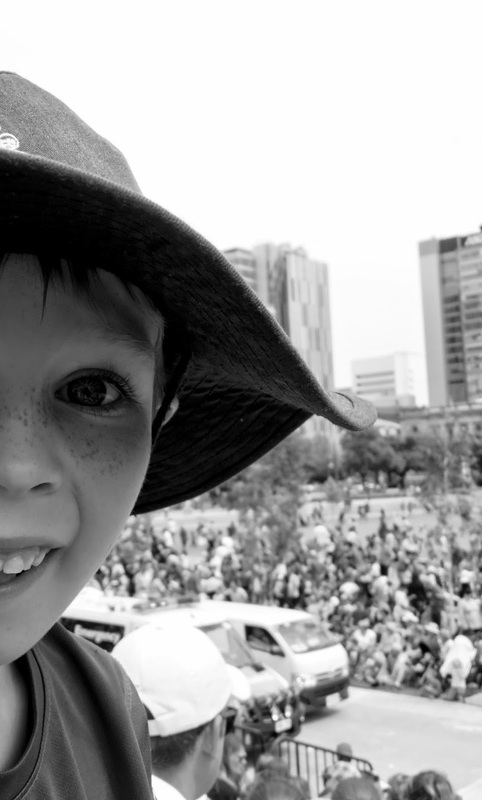 Flip spent most of the time eyes peeled for a classmate in the parade. Watching less TV has definitely lead to more reading - perhaps I will get through the library stack after all! You may have seen that there is a movie coming out/ already out (who can keep up?) with this same title. 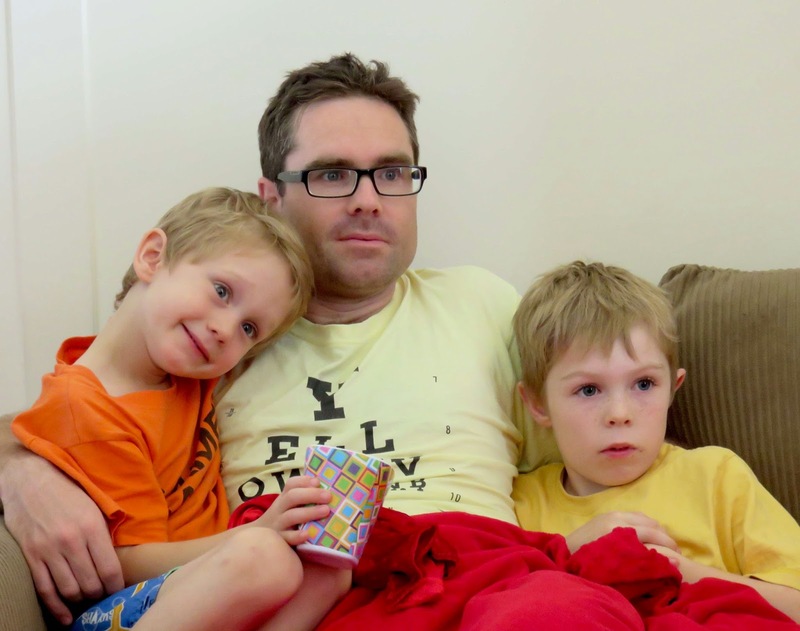 It tells the true story of a family who almost lost their 3 year old son. After he got better he started saying strange things that led them to believe he had truly been to heaven and met Jesus. 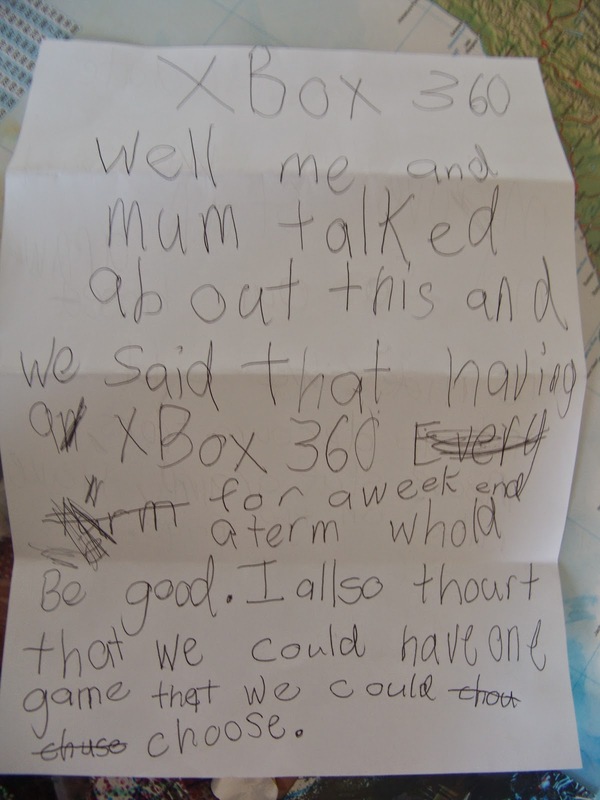 As you can imagine this has had a deep impact on their family and on their sons life. 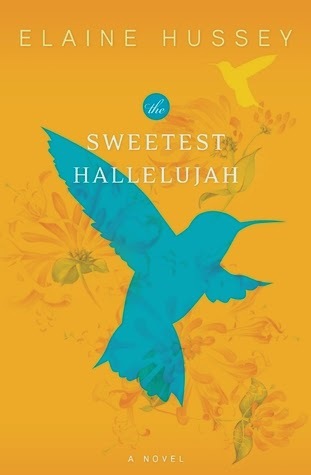 Told with warmth and honesty this is a beautiful account of a supernatural experience filled with love. 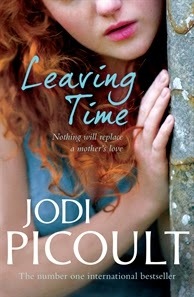 I was thrilled to receive another of Picoult's books for reviewing. 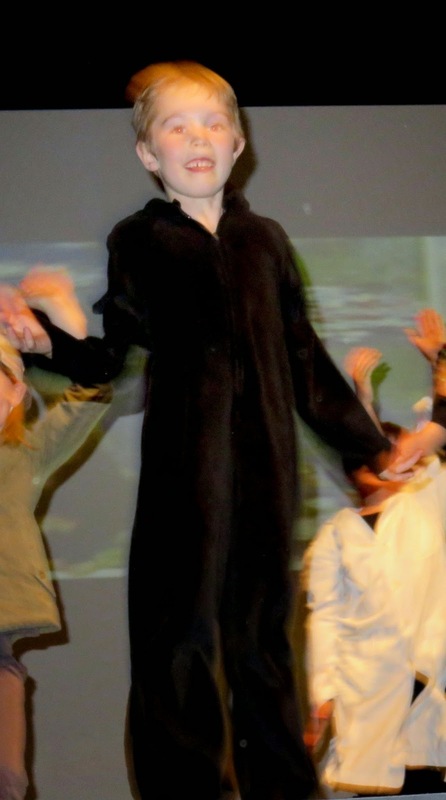 This one follows the story of Jemma who has lost her mother in an incident 10 years earlier in an elephant sanctuary. Not knowing whether her mother is dead or alive and with no where else to turn she enlists the help of a washed up psychic and an alcoholic private detective down on his luck. Like most of Picoult's novels I have read the narrative is driven by different voices as hard questions turn into difficult answers and things become more difficult for everyone involved. There is a surprise twist that I didn't see coming either. I found this a quicker read than other Picoult tales. It also includes a lot of information about elephants, the ways they mourn and how they honour their dead - some truly beautiful facts. This was a random grab at the library. The story profiles 2 women one white, one black at the height of the civil rights tensions in the deep south of the USA. Betty Jewel solo mother, dying of cancer and concerned for the future of her daughter reaches out in a newspaper advert. 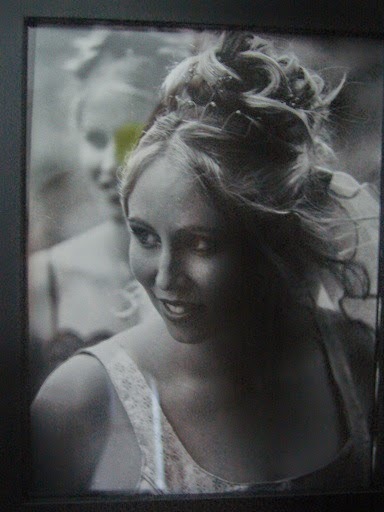 Cassie recently widowed, reporter wants to tell her story - what they find is so much more. This book is about hope, solidarity, being brave and the small acts of those who reach across enemy lines and find both hostility and acceptance. I loved reading this book. It's about women and the relationships they forge, its about finding grace for others who don't deserve it and standing up to your own when they are in the wrong. Ultimately it is a joyful book. I would happily pick up another book by this author. Beautiful summer reading - makes you want to plan a picnic with your favourite friends. 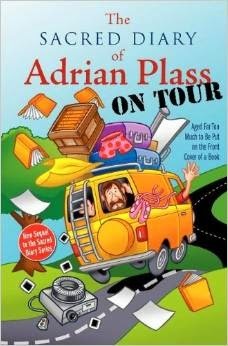 Plass is one of my go-to authors when I need a good laugh. 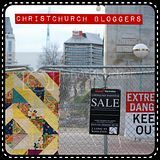 He is a Christian writer who perfectly captures the quirks and oddities of Christian behaviour and church relationships. For anyone who has ever been involved in 'church life' his books will give you lots to laugh about and also some gorgeous poignant moments. 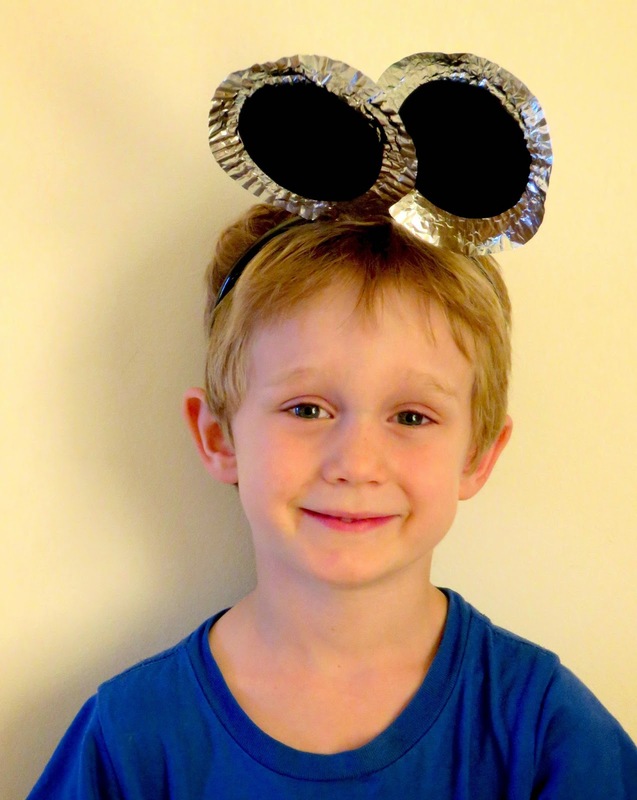 Plass writes in fiction and creates such sweet characters. A chance to laugh and feel encouraged all in one go. It's been ages since I've read a crime fiction so I was pleased to get this copy to review. 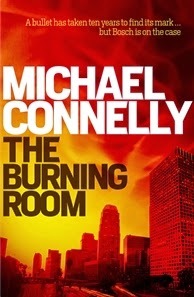 Following two LAPD detectives on a cold case with a fresh body the book is an easy read with a true cop show feel to it. Connelly is a retired crime journalist and the details come through. 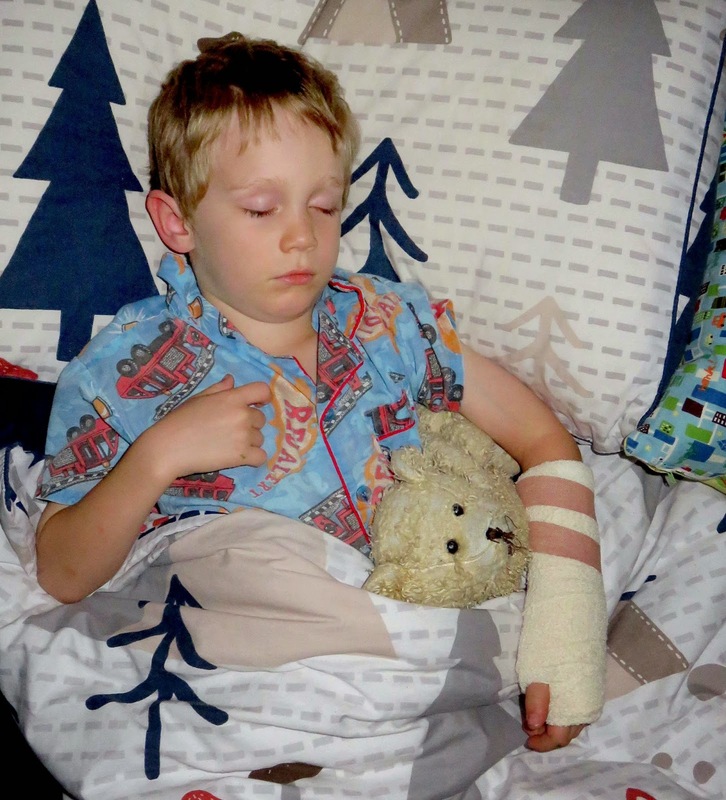 I liked that it wasn't gruesome and not too nail biting either - safe to read before bed, if you know what I mean. If you like this genre I'm sure you will enjoy this one and if you need a change of genre for your summer reading stack this will offer a nice contrast. The narrative flows well and is pacey with different characters. There are a number of books that follow the main character - Detective Bosch. I'd be happy to pick up other books by this author and I'm sure The Atlas will be happy to transfer it to his night stand. Details - Allen & Unwin, Nov 2014 RRP $32.99 also available as an ebook. 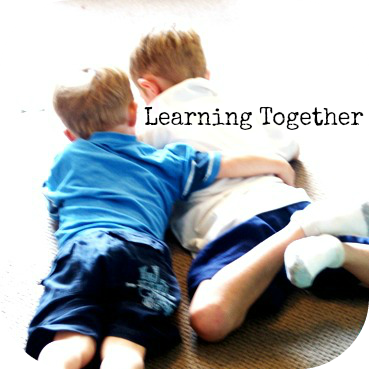 Learning together... it's been a while! 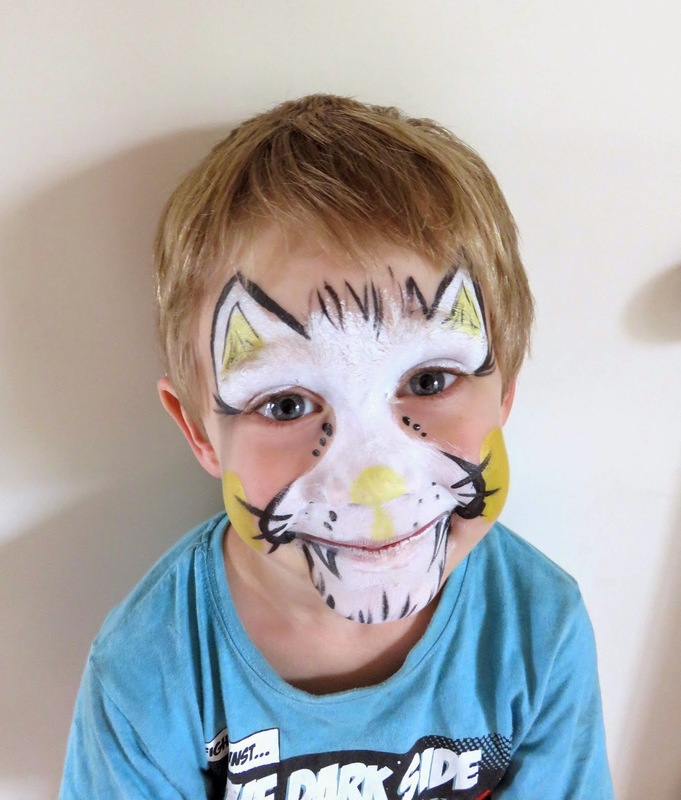 I know lots of people have family meetings and are very scheduled but the create hope inspire family is a little more laid back (or disorganised, or freaked out by 'programming activities'). However, a certain someone wanted to proprose something to the family so I suggested we had a family meeting. 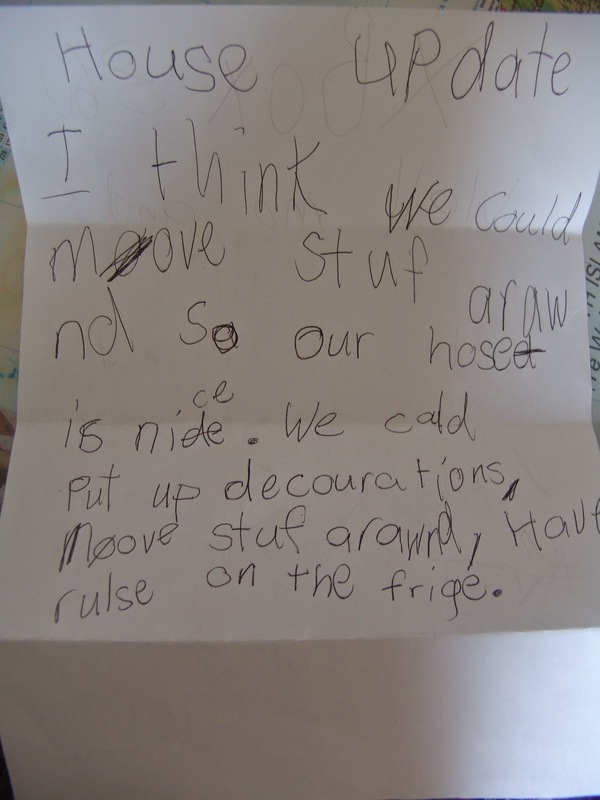 The boys made the agenda sheet which was pinned to the fridge - not literally obviously, it was attached with a magnet! - a week before and everyone was allowed up to 2 items. You can probably guess even without the names who added what. So what skills do you learn in a family meeting? The Atlas took notes and we had a lovely time of it. 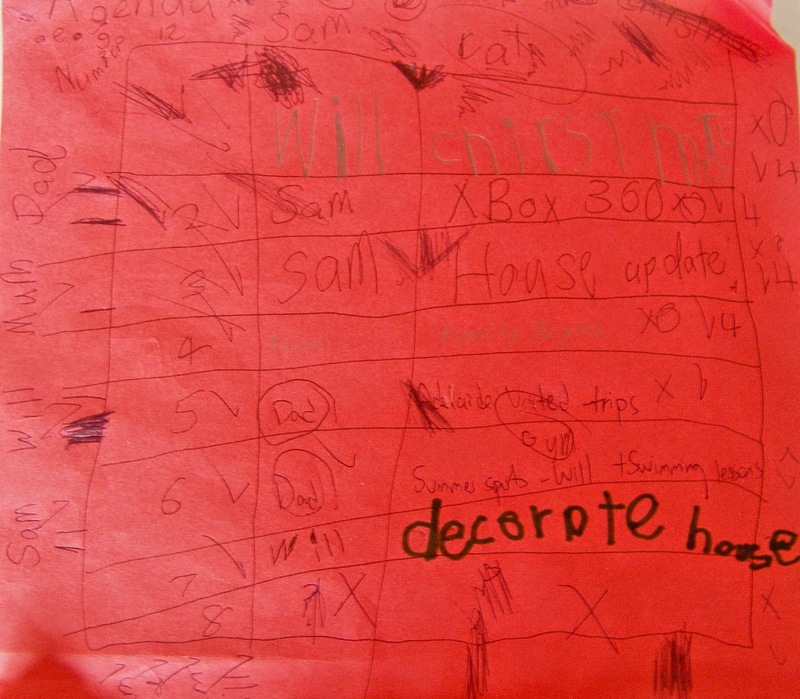 The key results are that we will hire an xbox 360 one weekend per term (4 times a year) and 2 games each time, we will try to have a special family time on Sunday afternoons together where we will include a family meeting once a month, the boys will have the Christmas Tree (which will be small because that's what they wanted and the vote was unanimous) in their room, Bounce and I will decorate the house for Christmas and The Atlas is in charge of following up on sumer sports. Phew - I think that's it. It's great for children to contribute and have their ideas heard and it's a good opportunity for them to take part in discussions, present ideas and learn to compromise. Do you have family meetings? 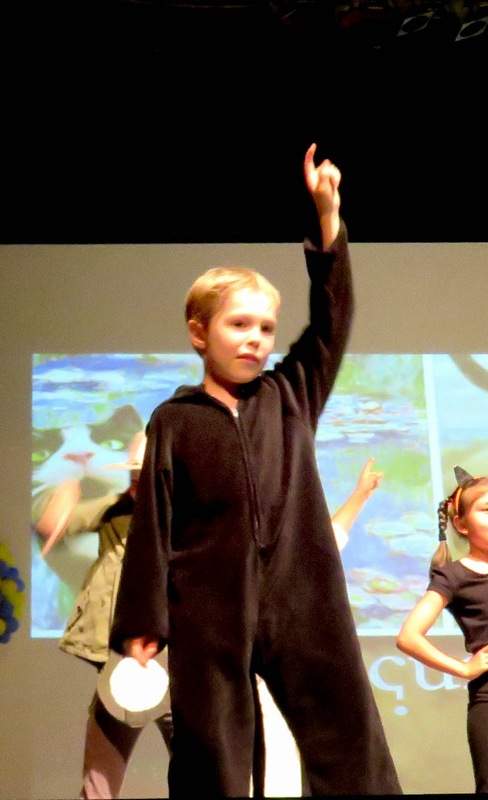 Do you track the formal or informal route of parenting?